In 2013, we had the western themed Death Rides A Horse and in 2014, we had the fairy tale based After Ever After. 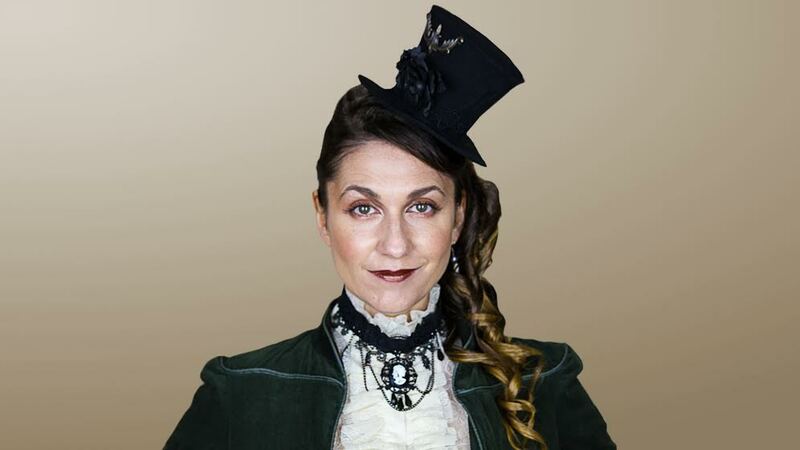 In 2015, and as part of the Melbourne Fringe, Rama Nicholas is back with Mary Weather's Monsters, a gothic adventure that takes us into the world of monsters and explores the thin line between being a hero and a villain. "I have always been in love with the Gothic genre and fascinated by the creepy and macabre. I love vampire stories and ghost stories. This genre appeals to my obsession with adventure and romance. I am a huge fan of Buffy the Vampire Slayer, Dracula stories, Tim Burton, a lot of the writers from the 'gothic era' of the 1800's, Penny Dreadful and I love Victorian era style," Nicholas says. A highlight of her shows is seeing just how many characters Nicholas can squeeze into a 60-minute show. While the quantity isn't as high as it has previously been, the quality will no doubt he higher with Mary Weather's Monsters. "I have cut down the number of characters I play from my 'normal' 20-ish in my previous shows to about 11 for this show. The reason for this is to pay more attention to my lead characters journeys," she says. "I do think I go a little bit crazy (with so many characters)!! The process of rehearsing the show leading up to opening night is mental, but it’s a kind of crazy fun you get addicted to." Mary Weather’s Monsters is a trip back to 1890s London, at the height of the gothic era where monsters walk the Earth. Mary Weather is the city's greatest monster hunter and the only person who can stop the impending threat to the human world. When she is unexpectedly thrown into the Monsters’ world, she finds things are not as they seem and she is forced to face some internal demons of her own.